Why is Zanocap touted as the "Healthy Gastric Bypass Alternative"? Gastric bypass works by actually making your stomach smaller with the aid of expensive and possibly dangerous surgery. The scientifically proven Nano-Fiber technology utilized in our manufacturing process (in a US based, bonded and insured, FDA inspected laboratory) creates a gel like substance in your stomach that enables your stomach to feel fuller even though you have consumed less calories. It is the exact same effect as a bypass- you eat less because you already feel full. Why go under the knife when there is an all natural and healthy product that has the same effect without the expense and danger? Ingredients: Senna Leaf Capsicum Plantain Leaf Xanthan Gum Echinacea Purpurea Tops Bromelain Garlic Bulb Ginger Root Ginseng Mate Meadowsweet St. John's Wort Valerian Root Dosage: Take one or two capsules 30 minutes before breakfast, lunch and dinner with an 8 ounce glass of water per capsule. 100% Money Back Guarantee: If you are not completely satisfied with your purchase for ANY reason, simple return the bottle to us and you will receive 100% refund, no questions asked. #1 Diet Pill for healthy weight loss and control, appetite suppressant, and ephedra free so as to not have any unwanted side effects. Zanocap works by creating a gel in your stomach that enables you to feel full while eating less. A great way to cut down on your caloric intake but at the same time still feel as if you have eaten your normal sized meal. Zanocap is NOT a stimulant or a diuretic, so it is 100% safe healthy and effective with no jittery side effects. 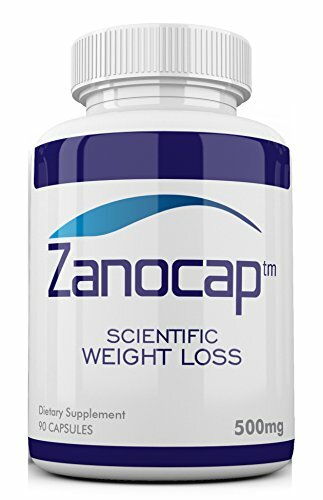 Zanocap is also fat free with virtually no calories. 100% Money Back Guarantee- -If you are not completely satisfied with your purchase for ANY reason, simple return the bottle to us and you will receive 100% refund, no questions asked. If you have any questions about this product by Selmedica Healthcare, contact us by completing and submitting the form below. If you are looking for a specif part number, please include it with your message.